Do Tanning Tablets Work for Pale Skin? Fair skinned individuals around the world, rejoice! We can now use our SPF 60 and still get an aesthetically appealing beach tan glow for summer. Best of all? We no longer need to moult like a lizard with peeling skin every year from wanting to join the legions of the tanned. That signature bronze tan has been an attractive aspect of skin tone for centuries, and the pale denizens of Mother Earth have long gotten the short end of the stick. Sunbathe? You mean, set out to roast until we reach lobster colours? For many individuals of fair skin around the world, getting a “tan” is easier said than done. For us, we have two settings: ghost pale and burnt to a red crisp. We go straight to burned, and we don’t get to pass Go or collect $200. And while other options are available they all fall short. Spray tans leave you looking like a bright orange, and lotions leave you a greasy mess. Now, don’t get me wrong. Companies have been working hard to deliver a product to the masses to help, but one size will never fit all. Some men and women have a lot of luck with the tanning market— others, not so much. If you are among the more pale faces in the crowd, then you may be all too familiar with the results of fake tans. Whether you looked like a mango, a zebra, or a toddler tried to use crayons to make you tan, some products just don’t deliver a smooth, smear-free tan for those with light skin. But listen up, fellow fair-skinned: I have some good news. Tanning Tablets. That’s right! Why risk a sunburn when we can use a regimen of these pills to reach a healthy bronze sans pain. But do tanning tablets work on pale skin? Read on to learn more…. Just what are Tanning Tablets? Don’t let anyone fool you: these aren’t magic pills. They might not work for everyone. Science is fickle that way. But when they do? You can have a beautiful glow in just a couple of weeks! Tanning pills take an all-new approach to colour. Most tanning products focus on our melanin, the pigment in our skin that determines how dark we are. With standard UV tanning, the melanin is burning itself to a darker colour in an attempt to protect our skin from the harmful effects of the ultraviolet rays. You’re literally crisping yourself like a pancake. Tanning tablets for fair skin, however, have two different approaches, one of which is better than the other. Read on to learn more. Pills that work with main ingredients like canthaxanthin eliminate the use of sun all-together to achieve a tan. Instead, these types of tanning tablets introduce large amounts of a natural colouring agent into our digestive tract, which then delivers the colour to the fatty layer just beneath our dermal layer. In turn, the new colour tints the skin above. While you don’t have to expose yourself to any harmful UV, these pills don’t come without their own risks. We’ll discuss this more in the Safety and Side Effects section below. The second approach is a bit less ‘paint the fat’ and a bit more ‘help our bodies achieve better results.’ Instead of introducing a new colour to your system, these pills come with an all-natural blend of amino acids, antioxidants, minerals, and vitamins. With their powers combined, these ingredients level up your body’s natural tanning ability. 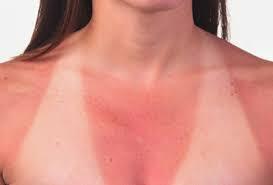 This does mean you need to spend some time in the sun, but you have reduced your risk of sunburn. Option two is the preferred, safer and more effective approach. I bet I can guess what you are thinking: What’s the Catch? I know, I know— I mentioned risks. Let’s face it, anytime we introduce something new to our bodies in an attempt to change their basic chemistry, we’re going to face some risks. The number one thing to know is that tanning tablets have not yet been approved by the FDA, particularly the ones using colouring agents beneath the skin. Here’s why: while agents like canthaxanthin are naturally occurring, they are only approved in certain doses. The canthaxanthin in our food is a much lower concentration than what tanning pills introduce. The FDA requires stringent testing and study before they will approve an oral supplement, and tanning tablets have not completed enough studies for the FDA’s liking. The first approach taken by some products is through the use of an ingredient like canthaxanthin, a natural colouring agent found in many foods. However, this ingredient has been found to be both largely ineffective, as well as potentially hazardous to your health. Many tanning products that include canthaxanthin as an ingredient utilize the SYNTHETIC version, created in a lab. While canthaxanthin is considered by the FDA and other health organizations to be “generally safe” for consumption in low to moderate doses, those same health organizations have deemed that canthaxanthin is LIKELY UNSAFE when taken by mouth in doses needed for artificial tanning. At high doses, this ingredient can cause aplastic anemia, a potentially lethal blood disorder. Less serious, but still undesirable side effects also include stomach aches, nausea, diarrhoea, hives and more. The second approach is to boost our body’s natural tanning process and actually make it a process— you know, no more passing Go and skipping payday. This approach leverages your body’s own biological processes and natural ingredients that are both safe and effective (such as copper, l-tyrosine and PABA). Now, what about side effects? Some users have reported that their palms, soles, and stools have been stained colours like orange from taking tan tablets. The good news? The colouration is temporary. Simply stop taking the tablets, and it will fade. Some users reported gastric discomfort. We’ll avoid the TMI, but just keep an eye on what your stomach is telling you. Other reports included dry and itchy skin. Finally, some users experienced a rare occurrence of canthaxanthin-induced retinopathy, basically, small crystals form in the eye and have a chance to affect your vision. This, too, is reversible, though it takes a few months instead of a few days. Now, are you ready for the good news? That all-natural blend of option two has no reported side effects, except those that come with natural sunlight exposure. Ready to Strut Your Stuff with a Summer Tan? Tanning tablets are growing in popularity, especially among our fellow fair-skinned. A tanning product where we don’t have to cook ourselves sounds pretty fantastic, and satisfied customers have found it worth trying— and promptly fell in love. So, are you ready to give these a try? You can find some of the best tanning tablets for fair skin by following this link.